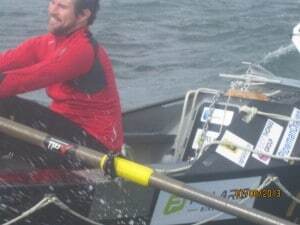 Josh Tarr and Jason McKinlay in Savoir Faire – hoping set a new world record for a pair rowing around Britain – have set off again after almost a day at anchor, south of Aberdeen. They were trapped there by high winds. In the last hour they have moved off the anchor and are trying to fight their way down the Aberdeenshire coast. 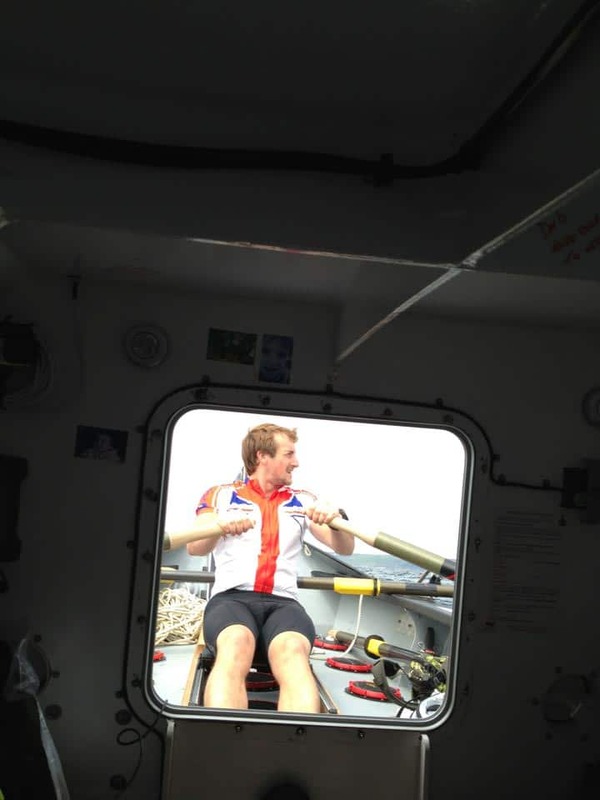 They are now past Stonehaven, with less than 420miles to the finish. Ok. Looks like our biggest challenge yet. Although we’ve passed all the major pinch points, rowed roughly 1300 miles (3/4) and are on the home stretch, the weather has turned unfavourable for at least 7 days. We’ve rowed the majority of this solo, allowing us to row 24 hours a day trying to be as efficient as possible but it looks like we need a change of tactics. We have to leave the idea of 39 days for now, it’s impossible to tell what we’ll be able to achieve each day at this stage. The wind forecast is fairly accurate for 5 days but it does vary so we’ll constantly be looking for weather windows that allow us to claw small chunks from the remaining 420 miles.. Initially feeling quite down at the prospect but looking forward I’m positive we’re making the right moves and hopefully that will pay off!